I haven’t blogged in quite a while. I’ve sat down so many times to start writing but sometimes it’s hard to know where to start. I want to share the amazing progress we as a family are making, or share when a day or week is particularly tough. Other times I want to share about specific events that I feel may help others in my shoes. But when it comes to it I almost feel there’s too much to share so I just don’t say anything at all! Then I wonder is it even worth it? Do people even want to read it? Is it useful, interesting or just plain boring! Because after all, I’m simply sharing how we do things, my stance on a topic, my way of approaching things, who knows if that’s the right way, I’m not sure – all I know is it’s my way. A big lesson for me recently has been a simple one but one that has made a huge impact. a way in which their strengths are built on. Once I had this realisation recently I feel like I’ve taken 5 steps forward when up until that point I felt like every step forward was followed by twice as many back. When your sleep deprived (our youngest hasn’t slept through the night for well over a year now) and sometimes anxious and feeling overwhelmed – it’s so easy to start to feel like you lack in self belief, you lose your confidence and you feel like you become resigned to the fact that things will stay as they are. I have felt knocked down by several appointments with professionals, people fob you off, don’t turn up, talk at you, have no true understanding of what it’s like to have two children with differing additional needs, and this leaves you feeling at best fed up and at worst completely overwhelmed and feeling like you don’t know where to turn. 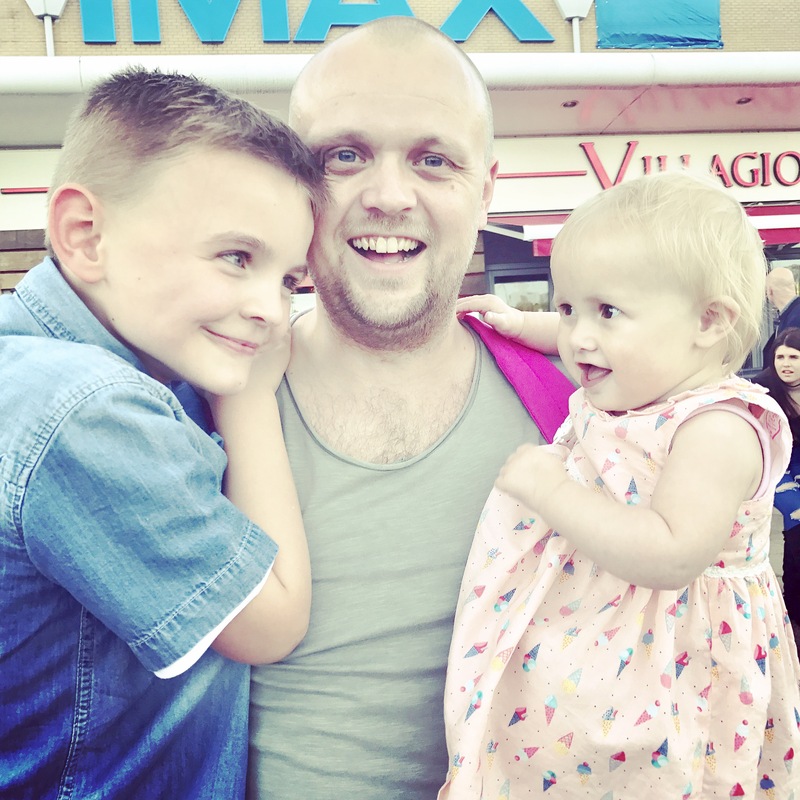 But my two beautiful kids are what make me drag myself out of that downward spiral – they need me to have 100% conviction, they need me to trust my gut instinct to know what’s right for them, they need me to have self belief, they need me to fight for them, to be their cheerleader. They are both doing so well, and have come so far in their own ways. They each have their challenges that require our support, love, patience and care. They both have daily wins, things we must coach them through, to celebrate every bit of progress. I need to trust in my own capability, trust my instinct and do what’s right by them. Becoming suffocated by negativity, downward spirally confidence and no conviction when making a decision – neither the kids or myself will benefit. Just in a couple of days since realising that I’d lost sight of that driven, motivated and confident mum that knew what was right for my kids, I can feel things starting to turn around. I’m seeing things start to progress with them that had become ‘stuck’ or tough to deal with. That I’d felt I wasn’t supporting them in the right way with. I’m trying to be kinder to myself in the process, but this is tough. I guess that’s another whole blog post of its own…..
All I know now is that actually – just listen to your gut, let that guide you. Then I know I’ve done the best I can…. I did it….. my way…. Most of us as parents worry about our children, analyse things, think about their future, mull over decisions, things they need help with, something they need support on. I always say as a parent of two children with differing additional needs that you feel all those things that other parents do but through a magnifying glass. Especially in the early days, when you are discovering this path that you’ve been thrust on to and unexpectedly find yourself meandering along not really knowing where it’s taking you. When most others are keen to see what phonics their child is coming home with when they start their reception year, you are just hoping and praying they didn’t spend all day under the table. When others are hoping they get picked to play for the school football team, you’re left wondering if they managed to get through the PE class without getting upset because that very irritating window latch that makes a noise has bugged the hell out of them! When others are hoping their child gets the lead in the school play you’re are keeping your fingers crossed that they can even sit through the whole thing without letting go of the hand of their LSA. Your world just feels like it’s under a magnifying glass. You have the same worries as the next parent, some are just enhanced, increased, magnified. If you’re reading this as a parent of a child with additional needs, know that the work, worry, support and intervention you give now WILL pay off long term. Every child is so different of course, but I honestly believe given the chance every child can shine in their own way. Even though that magnifying glass feels pretty full on right now, gradually it can be lifted a little higher and some areas will become less enhanced. Be open. Talk to people. So often you can feel isolated because people around you don’t know what to say or do, so they say nothing at all. Welcome people in. Allow them to understand what your life is like. Chances are some (not all – believe me I know not all from experience!) but some will be pleased that you are helping them to understand, and they’ll want to support you. Even if that is to celebrate with you that your child is no longer under that table!! Now hand me that magnifying glass…. One of the toughest things as a parent of a child with special needs is not being able to be “inside their head”, to not be able to be welcomed into the intense focus that so often takes up their entire world. You flit between being so happy that your child is relaxed, happy and content being totally immersed in their special interest, and then at other times you can be as equally as upset that their repetitive, obsessive, overwhelming need to be in their own world, focused on their interest can be so all consuming. I saw this quote yesterday posted by another mum of an autistic child and it describes beautifully what Autism is. As a parent I’ve got so upset at times that I feel I can’t reach him. I can’t fully understand what is happening in his special mind. I have to remind myself that actually in his own time, his own space – he is happy. That’s his own little world where he feels safe and settled. The challenge I guess is always the balance. The balance between giving him the space to be immersed in his world, and bringing him into ours. The reality is that the huge, often unforgiving world out there doesn’t recognise these intricacies, quirks and differences. I wouldn’t change my Bear for the world and I celebrate every part of his being, quirks and all. What I can do though is help him to build a protective armour. Build resilience to deal with challenges that school, social situations and interactions will throw at him. Build strength of character to be confident in himself. I have this vision in my head that as a neurotypical parent with an autistic child you both have different pathways to getting to the same place – you just have to do your best to cross paths every now and then to best support each other and ‘get’ where the other is coming from. This takes time, lots of talking, and recapping and talking again. We are gradually getting there, further along that path. It takes time, patience, love and understanding. Who knows if I’m getting this right? I just do what I think is best. I am such a positive pants and at times I hesitate to share things that are more personal, more upsetting or just more uncomfortable to say. I guess partly because it’s exhausting too….sharing emotions and being really open, leaves you feeling exposed. My energies are usually better spent on the kids, the business and my family. However at times I think it’s good to open up, get things off your chest. I know from the many Special Needs parents that I network with that actually it’s important to speak out. So many others like me are feeling the same. I’m hoping by sharing my thoughts and feelings it helps others feel less alone. This is hard to say……but having children with Special Needs can feel incredibly lonely. At times I’ve felt so isolated. And more often than not you can choose to isolate yourself, as it becomes the easier option. You don’t share the same experiences, you look at things through a very different lense, and your choices for your family can often look so different to others. Loneliness happens most often when you’re in a room full of people, seemingly chatting and connecting, but that’s just it, you don’t always feel connected, you can feel some what ‘out of the loop’. Ironically, most often you feel the least lonely when you are alone. Look, I know that as your family grows, your life changes, regardless of whether your children have special needs. Your circle can often become smaller, and your focus is on your children, juggling work perhaps or simply life. This is the case for many people. It just feels magnified, adding another layer when you are the parent of special children. You come to value your close friends and family so much, and never take for granted the conversations when you can share the wins, the successes and the celebrations – that to others are run of the mill. You keep a small circle around you that really get it. For me I have a few really close friends that really understand us as a family that I know I can share the little things with. Often these can be the people where actually you don’t need to say, they simply just know why you make the decisions that you do and support you on them. Some of these are at a distance too, keeping in touch on what’s app and just putting a smile on your face – sometimes that’s all you need isn’t it? Those are the friends that have no idea how much of an impact their silly banter, quotes from your fave TV show or sending funny pics actually has. My network of Special parents are a huge support too, this community is growing all the time and I hope others that may feel like I did will get some comfort and reassurance from our support group and feel that little less lonely. And hey look I get it…..I get why some friends become distanced and that’s only natural. I don’t hold anything against them. When you find yourself down a different path to the one you thought you would, your focus changes and actually at times it takes all your energy to keep your business, kids and family ticking over. I am probably not the friend I was previously and inevitably some friendships become distanced. I guess I’m in a place now that allows me to accept this and not let it upset me anymore. I accept now my life looks different to how I might have imagined. But do you know what I’m SO grateful that it has turned out the way it has. My children have taught me so much. Actually now I am at this place in our journey, I really do enjoy seeing life from a different angle. Being a special parent has so many positives and the view is great through a different lense. I dug out an old hoody today, one that I was given when I volunteered at the Paralympic Games. Back in summer 2012 I danced at the opening ceremony of the Olympics. One of the best experiences of my Dance life and certainly the biggest ever audience! After we had completed a summer of rehearsals and of course the huge opening ceremony to London hosting the games, several of us decided to go along and become audience leaders at the Paralympics, they were asking for more people so we thought we would give it a go. The opening ceremony was beautiful and performers and athletes alike wowed me with their skill and determination despite their disabilities and challenges. A truly humbling experience. Being out in the crowd was just so fun, enjoying the highs of the ceremony and then standing feeling the goosebumps on your body in those quiet, breathtaking moments during the performance. I had no idea at the time how significant these moments would be. How I now look back on them with such fondness and on occasion with a tear in my eye. At that exact time, outside of the work I was doing at the stadium and of course in my day job at Sparkle, was the start of Charlie’s diagnosis of Autism. At two years old (that same summer) Charlie was being referred to a number of specialists and our journey of appointment after appointment, discussion after discussion started to lead to diagnosis of what we now refer to in our house as his special mind; Charlie’s autism. I look back and remember how tough things were back then, entering a world I knew so little about, completely overwhelmed and at times so scared of what was to come. A serious lack of support, understanding, and generally fighting for everything, at times not knowing which way to turn. This photo of Charlie bear takes me back to his 2 year check and makes me smile so much. It’s funny saying that as at the time it made me sweat not smile! The health visitor as part of her reems of questions about his development asked “Does he have any sense of danger?” To which I replied hesistating “Er……… not really….” turning to see him do something just like this and try to open the window! Who knew back then in 2012 that now all we’ve learned along the way, the inspiration I’ve taken from so many people and events would lead me to doing the work I do, and about to embark on a whole new field of work in movement therapy. We all like having a pal, someone who just gets us, people around us that have the same interests, likes, dislikes. At every stage of our life we make friends, or perhaps our friends, colleagues, acquaintances can come and go. This is natural, it’s life. During the highs and lows of life – your friends (and family) go through the rollercoaster with you. Some stay on…. holding on for dear life! Others get off at the quickest opportunity, and new ones along the way want to jump on for the ride. Having a child with special needs can seem at times like you’re on the fastest roller coaster with ups, downs, and the craziest, fastest loop the loops!! For some it can feel incredibly isolating. Your child doesn’t hit milestones when their peers do. Your child struggles with things that others take for granted. and seems overwhelming to deal with. Your day looks different, your parenting style has to be too, and it can feel lonely. At times you don’t know where to start to even explain this feeling. You’re exhausted from giving your kids your all, fighting (and I mean really fighting) for everything that they need – the help at school, the appointment to see a specialist, the follow ups, the meetings, the IEP, EHCP, statement, diagnosis, therapy, intervention …. I could go on…. and on?! We can all experience this though right? Whether you’re a parent of a special needs child or not, we can all feel isolated and lonely for one reason or another, I know it’s not unique to special parents. I have had many times where I’ve felt that isolated, lonely feeling. 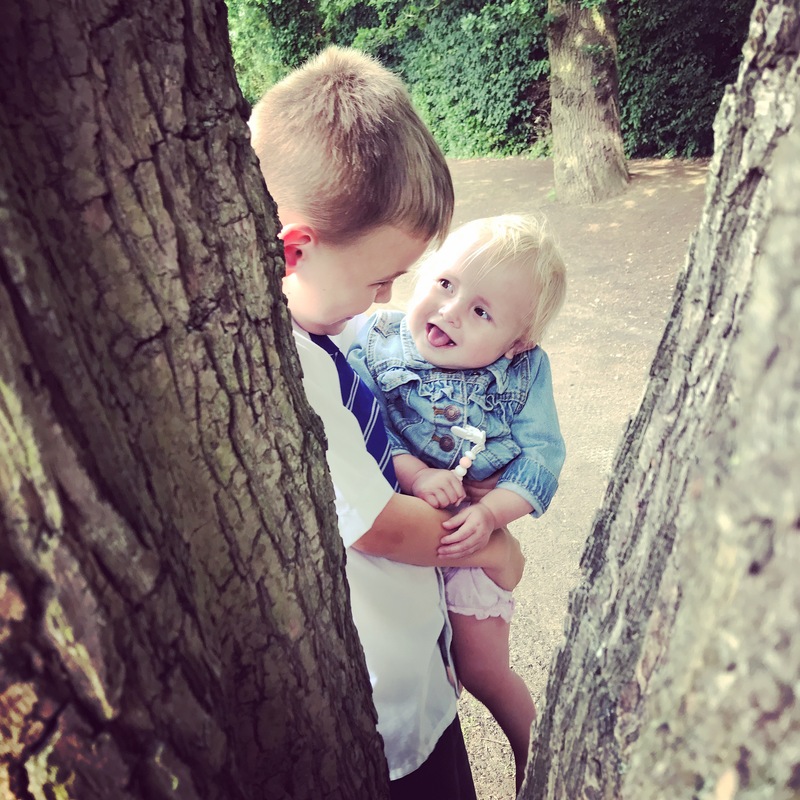 Some really low moments where I just want to curl up and cry….. often because I feel I wouldn’t change my kids for the world, but I would like to take away anything that makes them sad, anxious or hurt. At times like this you feel as though it’s too much to explain, too much to burden others with – you keep it to yourself. BUT it’s so important to recognise you’re doing this and to reach out. Reach out to friends…. the ones that have stayed on that rollercoaster and are lifting their hands in the air and wooping as it goes round the loop! Reach out to others in the same boat as you…. join online support groups, meet ups, charities that support Special Needs. There is help out there if you’re willing to go and find it. Not always the easiest step to take but one that will be very worthwhile. And another biggy, be honest and open. Again not something that happens overnight but something that will help to build trust, develop understanding and ultimately unlock that feeling of isolation. Welcome people into your world. I’m Jane, mum to two beautifully special children, each of them individual and unique. Charlie is Autistic and has a fascinating, sensitive and honest mind and the kindest heart. 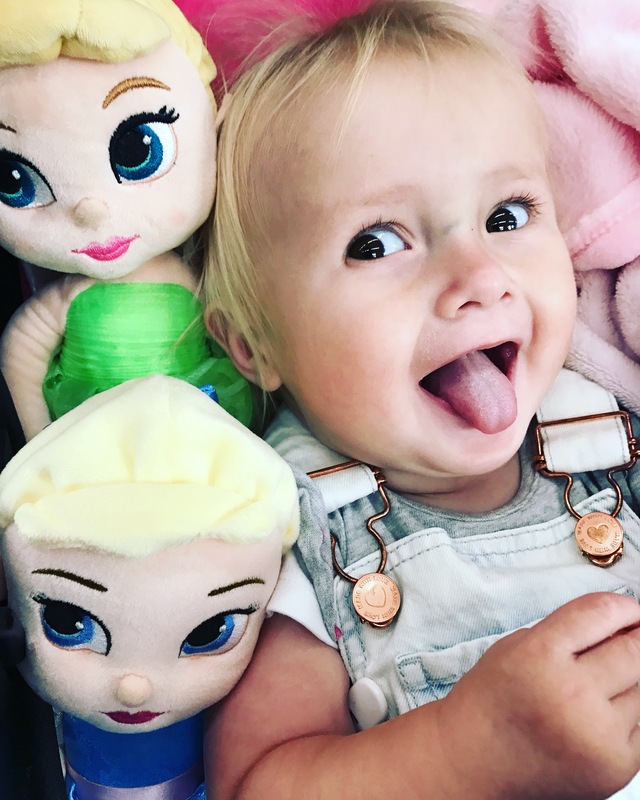 Sofia has Di George syndrome, a tiny girl with a big personality, a strong and determined little thing! If you’re reading this and aren’t a special parent yourself please know that by supporting someone that is you are doing more than will probably ever realise. If you are blessed with special children, know that you aren’t in this alone, you have many like me around you that want to share, support and help others in the same position. Take the special – and make it a double! My blog uses the analogy of “taking the special”, choosing from the specials board, being different, embracing something out of the ordinary. Since Charlie’s autism diagnosis at 3 years old we have become his coach/mentor/advocate/supporter/therapist/teacher…. anything that gave/gives him that early intervention. We celebrate his differences, I love his quirks and his special mind. I find the autistic mind fascinating and enjoy learning more and more about it. This has happened over time and is a choice. I choose to be positive, to celebrate, to never let him be defined by just one aspect of what makes him Charlie. Don’t get me wrong you have your moments. Those lonely moments, where you worry about their future. Will he live independently? Will he be ok? Will he ‘keep up’ with other kids that inevitably will mature faster? Will he be vulnerable? Will he be bullied for his differences? Its hard to admit but you do think all of these things. This could overwhelm you, make you sad, and make you isolated – and sometimes it does, sometimes you have to let yourself have those moments to then take a breath and be ready to be strong again and choose to take the special. We have received some news recently which back 4 years ago I would’ve dealt with very differently. I would have fallen apart, felt destroyed, would’ve felt – why us? But having been on the journey we have for the last 4 years with our Charlie bear, has made me approach this news very differently. Our little legs, Sofia, has been diagnosed with Di George syndrome. This was found when she had genetic tests following her heart surgery. Di George syndrome (or 22q11 deletion syndrome) is a rare genetic condition that is linked to heart conditions, learning difficulties, possibly autism and other health complications. We are at the beginning of this journey for her and are just starting to learn what this will mean for her. I want to tell others about our life, our learns, the highs and the lows – if it helps one other person, I feel I’ve done something to help others in the same position as us. One thing I do ask…. please don’t be sorry. Don’t feel sympathy or sadness. My two special kids are teaching me so much, giving me the chance to take the special – taking nothing for granted, appreciating progress however small, living life in the moment, taking chances, exploring opportunities. All I do ask is to be kind. Be kind to others who are different to you. Be kind to others if they are having a tough day. This little action can make a huge and lasting impact. Dan and I feel so lucky to be blessed with two special children that amaze us every day with their strength and resilience. I look forward to everything they can teach us along the way.